Apartments near Union Station Los Angeles are conveniently located in the heart of Downtown Los Angeles, putting everything Los Angeles has to offer right at your fingertips. Los Angeles Union Station is also known as LAUS and the “Last of the Great Railway Stations” constructed in America. Being close to the station makes trips to Seattle, San Francisco, Chicago, New Orleans and many other nationwide locations a breeze. Union Station is also home to many Metrolink and Metro Rail stops which can take you all over the Los Angeles metro. In addition to having downtown Los Angeles as your footsteps, our apartments near Union Station Los Angeles are across the street from the historic Olvera Street. Olvera Street is one of the oldest parts of the city, and is now home to many shops, museums, restaurants and an authentic Mexican market. Olvera Street is known for its celebration of many Mexican holidays, including Cinco de Mayo. 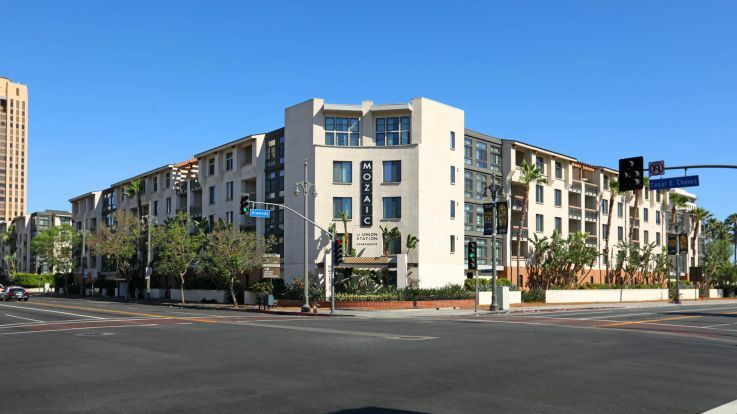 Our apartments near Union Station Los Angeles offer everything that you are looking for in Los Angeles living. Individual apartment amenities can include floor to ceiling windows with great views, hardwood floors, dishwasher, island kitchen, washer/ dryer in unit, and balcony. Community amenities can include game room, business center, clubhouse, fitness center, extra storage and a pool. Look into our other Downtown Los Angeles apartments including Little Tokyo apartments and Financial District apartments if you cannot find what you’re looking for in our apartments near Union Station Los Angeles.